Why should you have your carpet professionally cleaned? 1. Keep your carpets warranty intact. Carpet warranties require that your carpet be cleaned using the extraction method every year to 18 months. 2. Extends the life of carpet. Regular cleaning can increase the life of carpets considerably. 3. Protects your air quality. Carpets trap airborne particles. These must be removed in order to preserve your carpet and support air quality. 4. Preserves carpets. Carpet soiling is primarily made up of dry soils. Regular cleaning removes these soils. 5. Removes stains and spots that can attract more soiling. Removing them protects carpeting from more damage. 6. Prevents bacteria and allergens from accumulating. Carpet is easy to tailor to your needs. There are literally thousands of carpet styles and colors to choose from. It is easy to create a work environment that reflects your company’s culture. 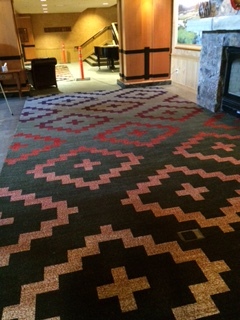 Carpet is perfect for softening footsteps minimizing falls and injuries if people fall. Carpet can increase employee productivity by absorbing sounds which is especially beneficial if you have an open office environment. Carpet works as a sound barrier between floors by reducing sound carrying around. Carpeting stairs can reduce the noise from foot traffic. Carpet produces thermal resistance. When it is cold out carpet retains warm air longer. Carpet creates a comfortable work environment. Easy Potty training tips for your puppy and keep your carpet clean with a pet. Five reasons to choose carpet for your home. Refresh your home for spring. 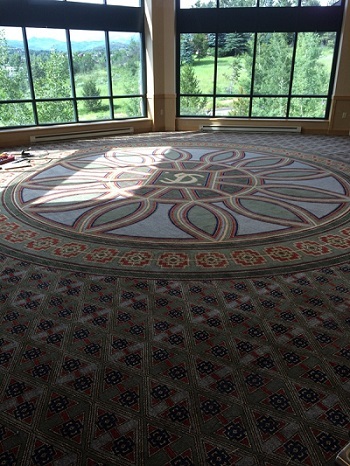 Whether you just want to refresh your house by cleaning your carpets and upholstery or you.. So you have decided to purchase carpet for your home. Now what? So you have decided to purchase carpet for your home. Now what? There are a lot of options from which to choose. 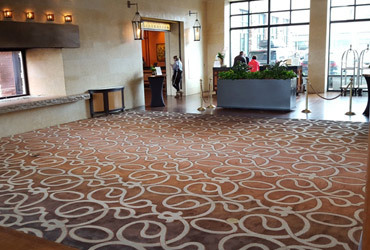 Carpet offers a plethora of choices in style, fiber composition and color.